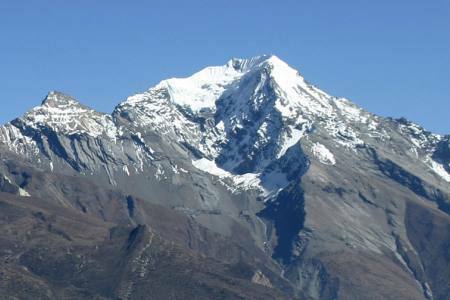 Nirekha peak (6,159m/20,206ft) is one of the famous trekking and climb peak in Nepal. 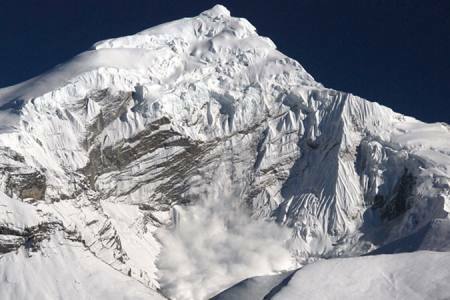 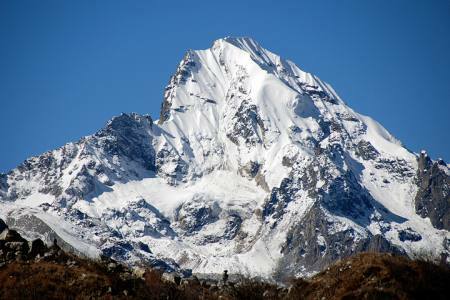 The peak is located North east of Nepal, in Mahalangur range. 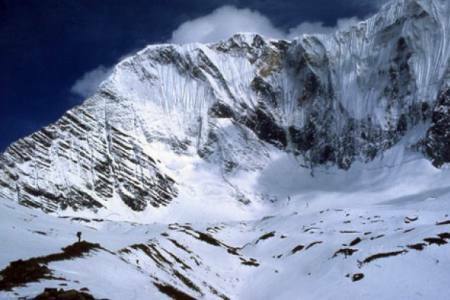 Nirekha peak is just located along the side range of Everest, Cho Oyu and Cholatse in the Everest Himalayan region. 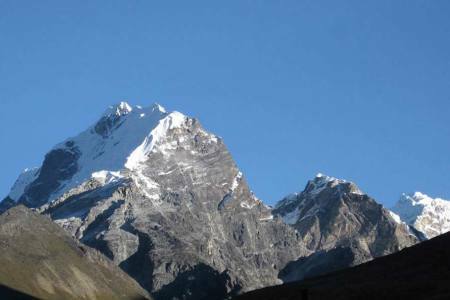 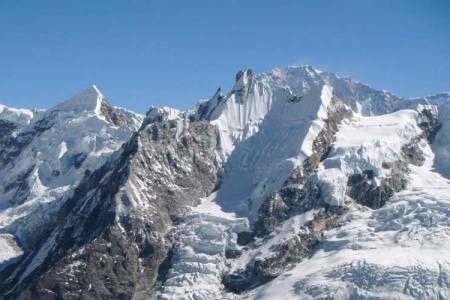 It is in the same chain as the Lobuche summits, east of the Cho La Col (not to be confused with the famous Cho La pass a few hundred meters away). 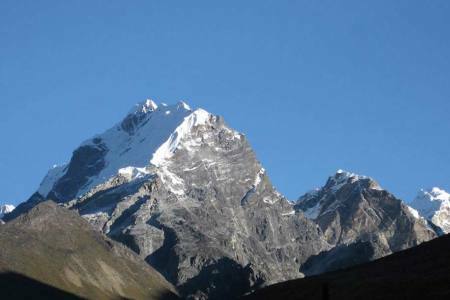 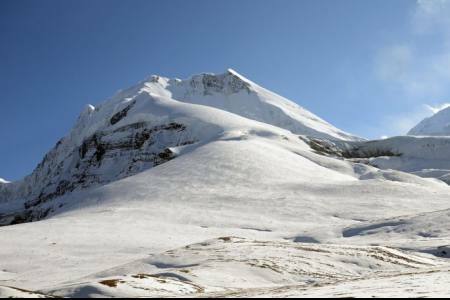 The normal ascent to the Nirekha peak is little difficult according to your health conditions. 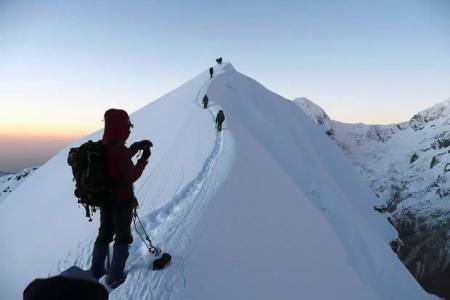 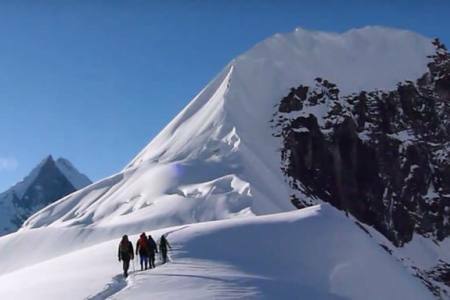 Mostly ascend is on snow and ice so good fitness and acclimatization is most important to climb this peak. 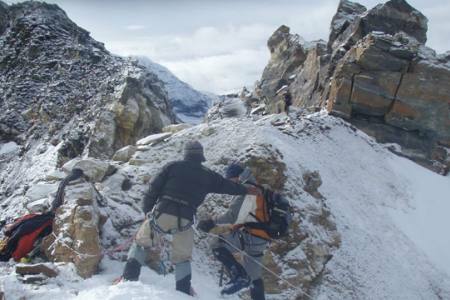 Experienced climbers attempt this route. 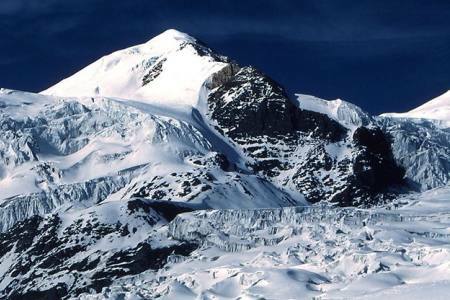 And summit consists of two submit pyramids. 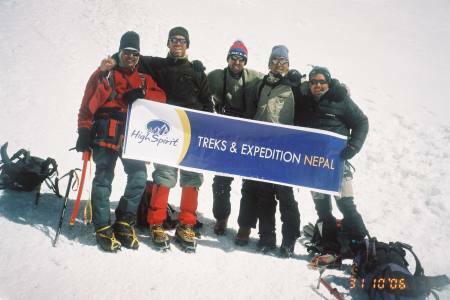 Nirekha Peak was open for climbing from Nepal government long time ago. 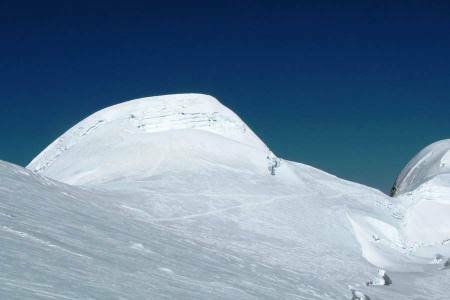 Therefore, this peak is less crowded and provides a truly unique mountain climbing experience for climbers. 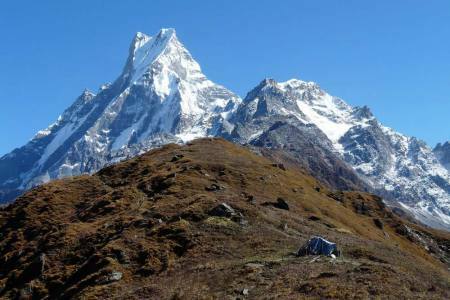 From the summit of Nirekha Peak, we can see magnificent views of Everest, Lhotse, Nuptse, Ama Dablam, Tawache, Cholatse, Pumori, Changri and other many himalayan range. 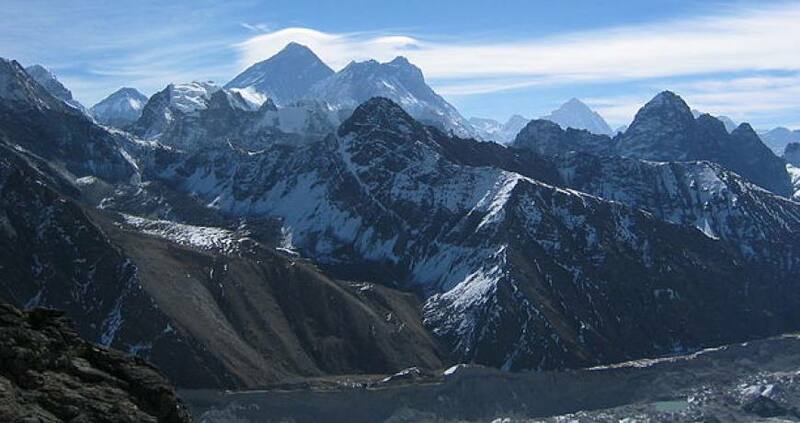 On our itinerary, we also cover beautiful Gokyo lakes which are the world’s highest freshwater lakes. 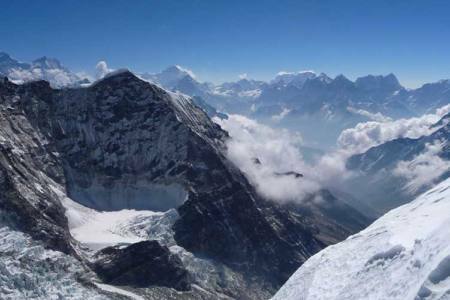 We also reach the Everest base camp, which are the most popular sites in the Everest region. 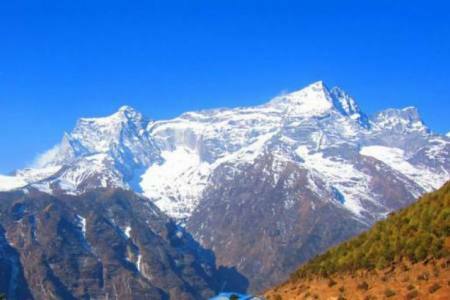 And Kalapathhar is considered as the best point of view from Everest and nearby Himalayas. 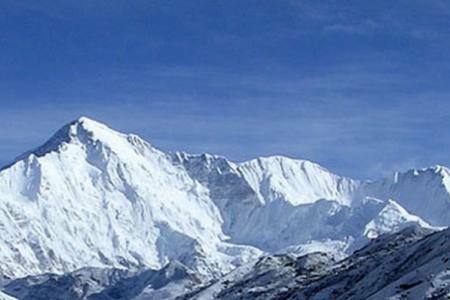 Day 20: Fly from Lukla to Kathmandu (1,350 M/4,429ft), 25 minutes, (Lodging + B). 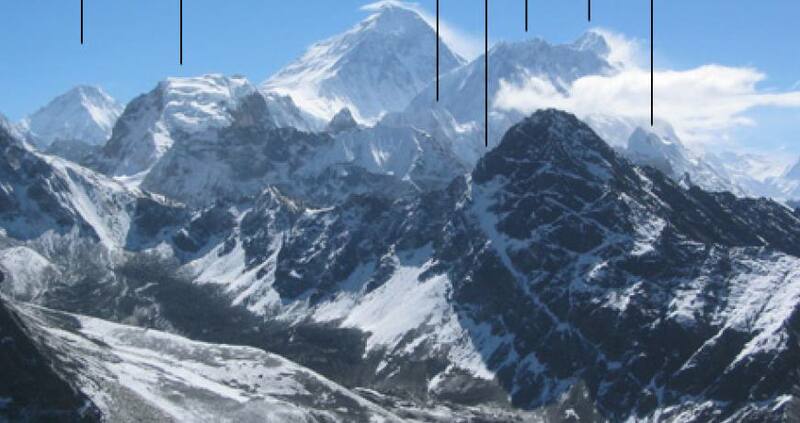 Day 20Fly from Lukla to Kathmandu (1,350 M/4,429ft), 25 minutes, (Lodging + B).